Learning to drive is an exciting and rewarding journey that will give you an unrivalled sense of independence. However, taking that very first step on the learning process can be daunting. But rest assured, there are ways you can take the edge off the prospect of getting behind the wheel with your instructor. This is perhaps the most important piece of preparation. Simply put, without your provisional licence, you cannot begin your lessons. Getting a provisional licence is easy, with government legislation stating that learners can apply at the age of 15 years and nine months. Possession of a provisional licence gives you the right to drive on all roads across the UK and Ireland (excluding motorways), so long as you are supervised by a qualified driver and your car is displaying ‘L’ plates. Not everyone is lucky enough to have access to a car before they begin the learning process, but if you can find a friend or relative who is willing to help you grasp the very basics, then try and get some early experience in. Essex has plenty of car parks that will provide the perfect environment to get to grips with the fundamentals, such as clutch control and steering. Obviously, your driving instructor will be more than happy to start you off from scratch, but the more practice you can get in, the more beneficial it will be in the long run. The rise of the Internet means there is more information available than ever before. Make sure you take advantage of it. Whether it’s hearing about the experiences of other learners, brushing up on the Highway Code, or indeed knowing your handbrake from your indicator, there is a whole wealth of great content available. Nerves can jeopardise the learning process, so it’s important to ensure that you are as comfortable as possible. Make sure you are well hydrated and well fed, as this will help to sharpen your focus and leave you primed to take on the fresh information needed to make progress. Footwear is important too. Remember, you’re going to be using your feet in a way you might not be used to, so comfort is king. That means turning up in heels or flip-flops is a definite no-no. Additionally, make sure you are comfortable with your surroundings. Always try to take your lessons in an area that is familiar to you as this will make the initial learning process much easier. Alfie’s Driving School has several locations across Essex, so be sure to choose the one that suits you. Getting a good night’s sleep is hugely important for even the most experienced of drivers, so always ensure you get enough rest to ensure you are fresh and ready to go once you get behind the wheel. Ready to start your driving lessons in Essex? 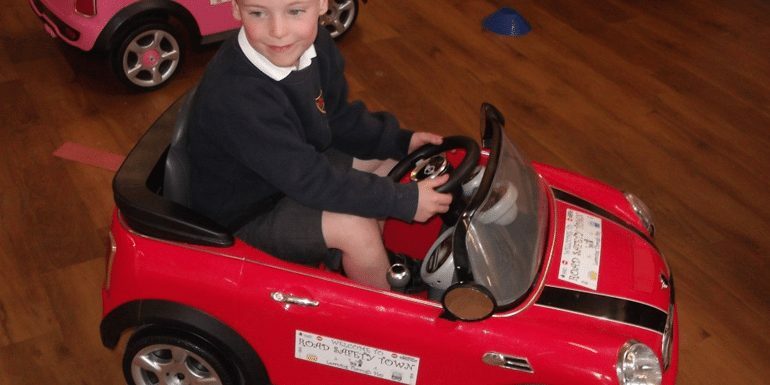 Contact us at Alfie’s Driving School today.